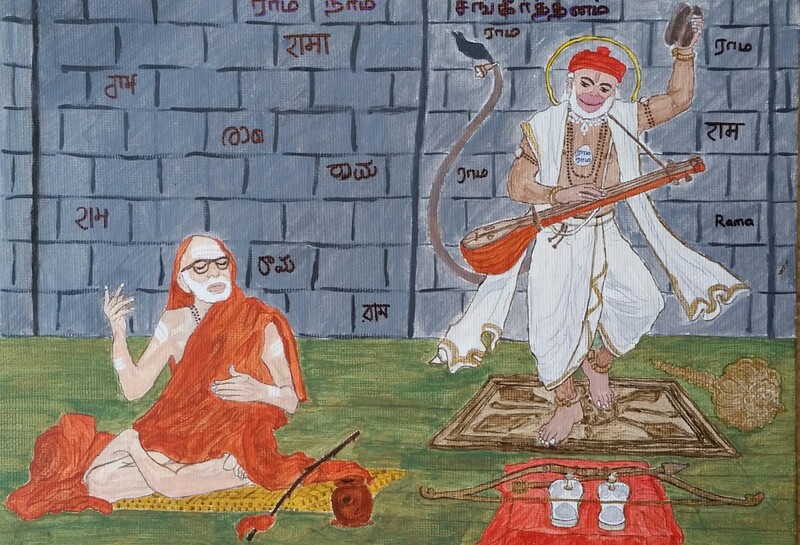 Sivasri Chandrasekara Gurukkal of Chicago recently contacted me to ask some facts about HH (Bala) Periyava as he is in the process of completing ashtothram for Periyava. Interestingly, we dont have these data points in our fingertips or in a place where we could access. I collected some facts and need some clarifications. Can you all help? Place of Diksha – not sure where it happened – in this post, it seems like it happened in Mehbub Nagar – not sure. Or was it in Kanchi? Can someone clarify? Patasala studied – ? In this page, it says Polur – can someone confirm? Periyava’s Deeksha was in Kamakshi Amman Temple premises and it was widely covered in the media.Special reports and photographs were published many of which I have read.Very touching ! Place of deekshA was kamakshi temple theertham. I was a witness to that event. Great blessing. In the very beginning , his name was Shanakaraananandendra saraswathi swamigal for sometime. Then renamed as Shankara Vijayendra saraswathi swamigal . Sri Sundar, HH PujyaSri Pudhuperiyava was given sanyasa Deeksha at Sarvatheertham… not HH PujyaSri (Bala)Periyava. 2. It is a village in Aarani which is a few kilometers from Thandalam. There are a couple of Thandalams in Thiruvallur Dt. and this Thandalam is referred by its proximity to Periyapalayam. The actual Gruham (avathara sthalam) is maintained by Sri Kanchi Kamakoti Peetam and HH PujyaSri Pudhuperiyava has installed a vigraham of Jagadguru Adi Sankara Bhagavatpādāl in a small temple inside the compound to mark the Sthalam. At the end of this small road lies the gopuram of the very old and magnificent Sri Sampangi Pichaleeswarar temple. 4. Place of Deeksha was the Temple tank of Kamakshi Amman, Kanchipuram, right in front of the pillayar sannidhi there. 6. Polur it is, adhyayanam was under His poorvashrama father Sri Krishnamurthy. *Please read as Sri Krishnamurthy Sastrigal.